Project: Infinity Trade Consultants, a company that hosts an e-commerce site for global business-to-business bartering and is looking to introduce the benefits of the bartering marketplace to small businesses in the Capital District. Deirdre Ford is the CEO and Founder of Infinity Trade Consultants. LLC. Infinity hosts an eCommerce site for global business to business bartering. The company was established to help businesses meet their maximum capacity through business to business bartering. Deirdre holds degrees in Cybersecurity (B.A. of Science), and in Business (International MBA) and has served as a cyber consultant and business strategist within the public, private and retail sectors. Deirdre also serves as a volunteer on various boards and committees throughout the Capital District Business Community. We're all familiar with the term Barter, but there are very few business owners familiar with the Global Business to Business Barter Industry. 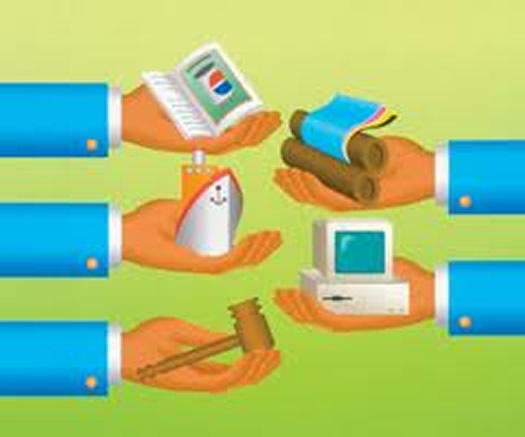 Business to Business Barter provides numerous benefits to business owners locally, nationwide and worldwide. Barter transactions predate currency transactions. A traditional Business to Business Barter transaction could consist of an exchange between a farmer and an iron-ore worker. The farmer may approach the iron-ore worker to barter for tools to till his crop in exchange for the offer of a portion of the farmer's crop. Many times, these types of transactions were successful, but more often many barter transactions were unfair because there was no fair market value for an item. As a result, many unfair transactions occurred until currency was introduced. Currency provided fair market value to each item, thus creating local, national and global fair market exchange. With the evolution of currency (right now we are in the midst of a currency evolution with the invention of blockchain technology and cypto currency) why is it that the B2B barter industry continues to flourish and is currently a 13B industry? Because Bartering satisfies needs in times of economic downturn and in times of success. Infinity currently has a global marketplace of businesses worldwide and my goal is to introduce the benefits and this global marketplace to the Capital District Business Community. Bartering should be looked at as a way to maximize capacity. A restaurant only selling 70% of its seats, an advertising company selling only 60% of its advertising space could use bartering to reach 100% capacity. The $2,500 prize would allow me to advertise Infinity Trade Consultants and the many benefits of Barter to the Capital District Business Community. Not only will individual businesses benefit from participating in Barter transactions, the entire Capital District Business community would benefit by supporting each other. Bartering would help bolster the local economy.